I spent Labor Day weekend cruising the cotton fields of the Arkansas Delta. By the end of it, there were more doves than any one person could consume. This lead me to invent all kinds of recipes to keep it interesting, as well as churn out some classic recipes from the Italians in the region – 14 Dove Putach, for example. As you know by now, I’m a purist and like to use as many parts of the animal as I can, which meant a few of my fellow hunters were plucking feathers with me in order to use the whole bird. They looked at me in horror at first, but then they got into it. We even had a lesson on gutting and the yellow gland at the tail… oh it was a wild time let me tell ya. Stick with me and this is the fun you shall have. Then we started talking about hunting for morels in the mountains while we plucked, and by the time we were done at 8am we had worked up an appetite and high tailed it to the nearest (and only) breakfast place in town. The results of all of this plucking were worth it though, and so if you’re feeling detail oriented, I suggest you try that Putach recipe. Or even a dove stock, which freezes well. 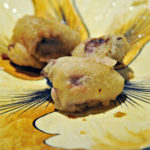 But if you simply like to breast your bird, then I highly recommend this: Beer Battered Fried Dove Breast. 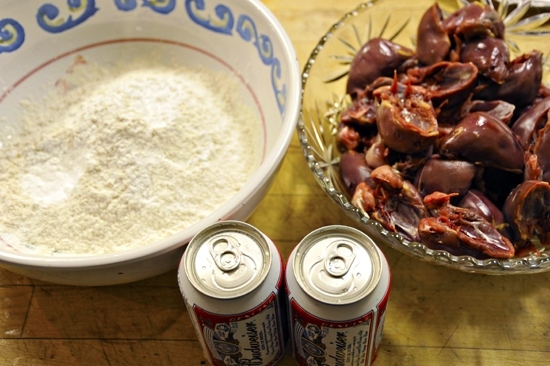 It’s simple and only requires ingredients that are usually on hand anyway during a dove hunt—birds and beer! However, if you’re not heading to a corn field any time soon, this batter works really well with many other proteins… even with vegetables. You can use any bear you’ d like, I just happened to have these cans. You want to add the beer a little at a time, whisking as you go to help dissolve the lumps. 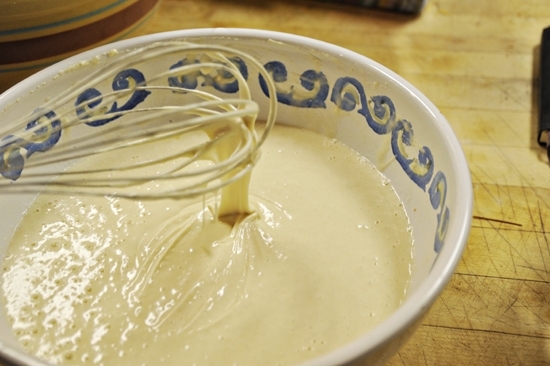 It will be this thick halfway through… a little sluggish against the whisk. 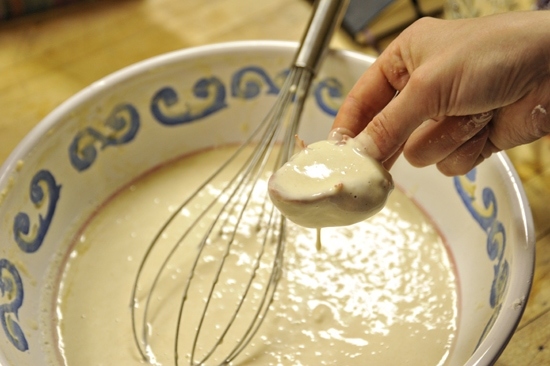 Then when it’s the right consistency, it will drip off the whisk and be much more fluid. You want it to coat the dove and stay on while it’s in the oil, so the right consistency is important. Ah, the sweet, sweet sound of frying breast meat. This is my mediocre end shot. The reason why? Before I could take a picture, this was all that was left. They’re good. Give ’em a try sometime! I recommend a sweet and sour dipping sauce, or even a BBQ sauce to serve it with. But it’s also nice on it’s own. The beer and baking soda give it a puffiness along with the crunch. It’s the perfect compliment to that rich liver flavor dove tends to have. Note: The following recipe is half the recipe I made in the photos, which turns out to be more than enough. Here are all of my dove recipes for you to try! Rinse the dove breasts under cold water until the water runs clear. Pat the dove breasts dry with paper towel and set aside on a plate. In a medium sized pot, wide enough to hold about 8 dove breasts at a time, add the vegetable oil and begin heating it on medium flame. 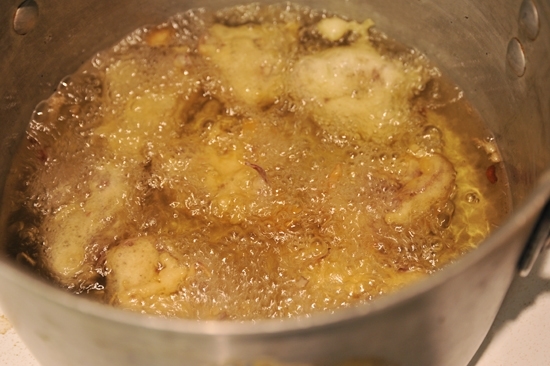 The wider your pot, the more oil you will need to completely submerge the dove breasts. In a large bowl combine the flour, baking soda, and salt. 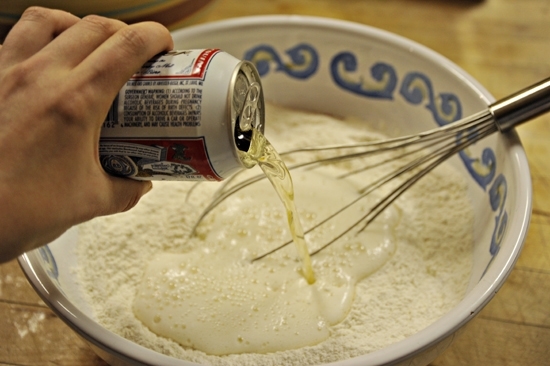 Slowly whisk in the beer until the liquid is uniform and the consistency of a thick syrup. 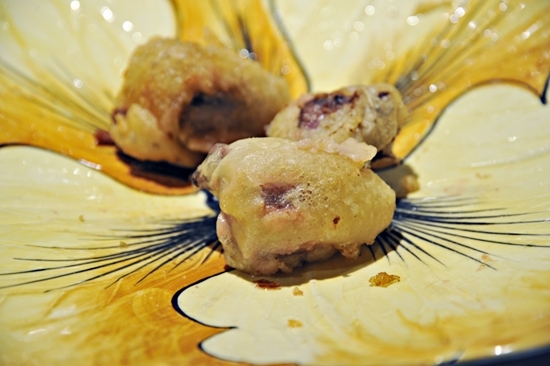 Using your fingers or a fork, dip one breast into the batter until it is uniformly covered. Dip one side of the breast into the hot oil to see if it immediately sizzles. If it doesn’t, wait for the oil to get hotter. Keep testing with the same dove breast, then add more breasts, enough to cover the bottom of the pot. Once one side of the breast is golden brown, turn it over and cook the other side until golden brown, about 5-7 minutes total. Cover a plate with paper towel. Remove the breasts from the pot with a fork or slotted spoon and place on the paper towel. Sprinkle all sides with salt and pepper. Repeat until all of the dove breasts are cooked and serve immediately. So this sounds awesome and I think dove hunting is the best wing shooting we have. 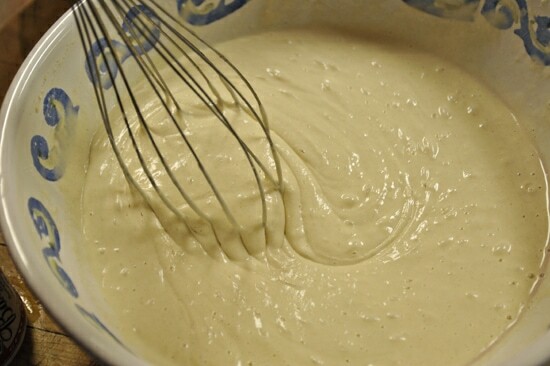 I have a quwstion about the batter though. Is it baking soda or powder?